Under pressure from pro-Palestine campaigners, Argentina has canceled a controversial World Cup warm-up match against Zionist regime in the occupied al-Quds amid an international outcry over the regime’s crimes against Palestinians. A senior source at Argentina’s Football Federation, who was speaking on condition of anonymity, told The Associated Press on Tuesday that the game had been called off. 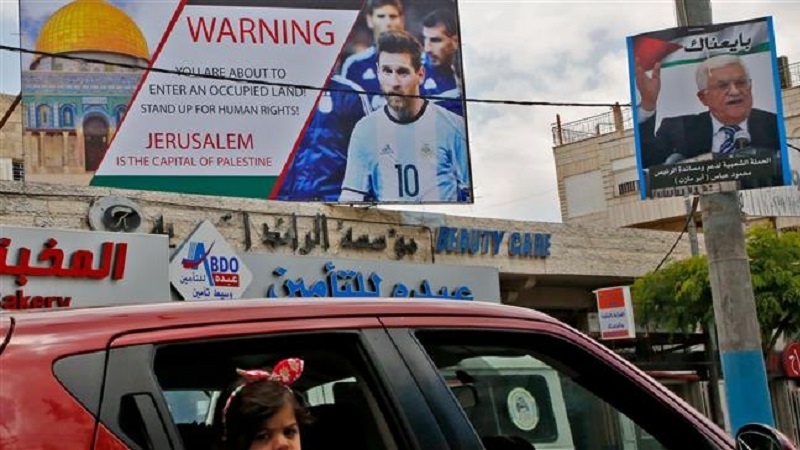 Additionally, the Zionist regime’s embassy in Buenos Aires said in a statement that it “regrets to communicate the suspension of the match” due to “threats and provocations” against Argentinean striker Lionel Messi. The Palestinian Football Association (FA) had earlier called on Arab and Muslim sports fans to burn photos and T-shirts of Messi if he attended the friendly match. Zionist regime lays claim to the whole al-Quds, but the international community views the city’s eastern sector as an occupied territory and Palestinians consider it as the capital of their future state. Following the cancellation of the Argentina-Israel soccer friendly, the Palestinian Football Association thanked Messi and his teammates for their decision. “This proves Argentina understands there is nothing friendly about playing in al-Quds, when just miles away Israelis snipers are shooting unarmed protesters,” said Alice Jay, Campaign Director at Avaaz. Reports said Zionist regime’s Prime Minister Benjamin Netanyahu had earlier called Argentinean President Mauricio Macri to ask him to persuade the team not to suspend the event.